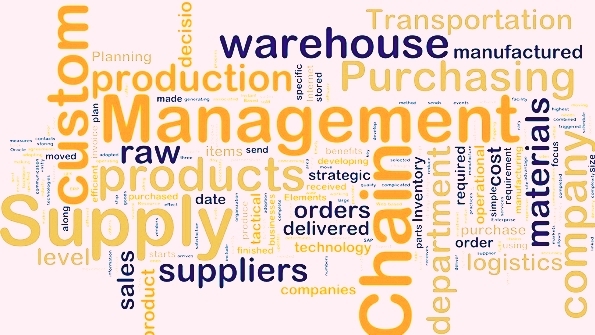 Definition: Supply Chain Management is a management of a network of interconnected businesses involved in the provision of product and service packages required by the end customers in a supply chain. Supply chain management spans all movement and storage of raw materials, work-in-process inventory, and finished goods from point of origin to point of consumption. SCM as the “design, planning, execution, control, and monitoring of supply chain activities with the objective of creating net value, building a competitive infrastructure, leveraging worldwide logistics, synchronizing supply with demand and measuring performance globally. 1. Plan—This is the strategic portion of SCM. Companies need a strategy for managing all the resources that go toward meeting customer demand for their product or service. A big piece of SCM planning is developing a set of metrics to monitor the supply chain so that it is efficient, costs less and delivers high quality and value to customers. 2. Source—Next, companies must choose suppliers to deliver the goods and services they need to create their product. Therefore, supply chain managers must develop a set of pricing, delivery and payment processes with suppliers and create metrics for monitoring and improving the relationships. And then, SCM managers can put together processes for managing their goods and services inventory, including receiving and verifying shipments, transferring them to the manufacturing facilities and authorizing supplier payments. 3. Make—This is the manufacturing step. Supply chain managers schedule the activities necessary for production, testing, packaging and preparation for delivery. This is the most metric-intensive portion of the supply chain—one where companies are able to measure quality levels, production output and worker productivity. 4. Deliver—This is the part that many SCM insiders refer to as logistics, where companies coordinate the receipt of orders from customers, develop a network of warehouses, pick carriers to get products to customers and set up an invoicing system to receive payments. 5. Return—This can be a problematic part of the supply chain for many companies. Supply chain planners have to create a responsive and flexible network for receiving defective and excess products back from their customers and supporting customers who have problems with delivered products. As an example, Lotus Cars Ltd has taken the approach of rationalizing their supply chain in 2004. Working with 200 suppliers and producing 2800 products, Lotus Group produced value stream mapping to understand, simplify and restructure the value stream of their supply chain. These resulted in a closer alignment of the supply to demand and therefore reduce the inventory of Lotus with accurate scheduling and improved information. The activity has resulted in 50% improvement in delivery performance. Is Supply Chain Management More Than Purchasing?I get asked this question a lot: “What is the Though many different and conflicting definitions of supply chain management abound, in my definition, purchasing is a subset of supply chain management. Purchasing deals primarily with managing all aspects related to the inputs to an organization (i.e., purchased goods, materials, services),.A supply chain consists of three types of entities: customers, a producer, and the producer’s suppliers. The extended supply chain includes customers’ customers and suppliers’ suppliers. 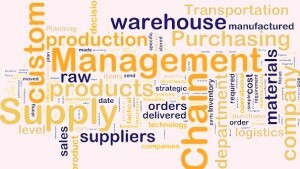 Supply chain management oversees and optimizes the processes of acquiring inputs from suppliers (purchasing), converting those inputs into a finished product (production), and delivering those products Under this definition, supply chain managers decide where to locate manufacturing and distribution facilities, how to route goods and materials among those facilities, and from which parts of the world to source the inputs. Supply chain management unites disparate functions that historically reported to different executive positions with different priorities. So what does this mean for individuals who have a purchasing-related title? One myth is that purchasing will become less important. To the contrary, analyzing spend for cost savings opportunities, negotiating, and selecting reliable sources of supply will always be critical. These functions fuel profit and provide competitive advantage. 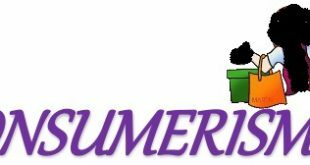 The process of proper fulfillment of customer best while preserving your profit margins to continue in a business at a high level of satisfaction. This will include from information about product till delivery about the product. Efficient supply chain management helps forward-thinking manufacturing companies reduce their costs. The need for a tighter integration i and data standards, better manufacturing intelligence and visibility becomes readily apparent. Capgemini draws on expertise in master data management and supplier relationship management to help you improve your manufacturing supply chain. The end goal of any company is a satisfied customer. The process of locating, obtaining and transporting the inputs needed to do this is the core function of supply chain management. Supply chain design in the manufacturing industry requires a great deal of focus on physical product and a broader supplier base, while service firms typically have little need for physical inputs other than office supplies, and often work with a much smaller group of suppliers. Both the service and the manufacturing industries require an input of labor to complete the processing necessary to satisfy their promise to the end customer. Additionally, companies in both industries require inputs from suppliers of various types. Finally, both industries require capital investment in equipment that allows their employees to do their work. material; because of it capital investments in developing relationships. machinery and equipment are typically much higher in the manufacturing industry. Traditional manufacturing supply chain management focuses on logistics in terms. The size and weight of objects being shipped and the distance from the supplier to the manufacturing facility can play a major role in the cost of the product.So the manufacturing industry tries to negotiate better shipping rates and fill containers with product to reduce unit cost, In service organizations, particularly in the financial sectors, moving of physical material from one location to another are irrelevant because no physical product is moving except perhaps a few sheets of paper. So the service industry upgrades servers and installs new software to speed the flow of communication, thereby reducing the labor costs necessary to produce a finished product. Traditionally, a finished good is a product that has been completely transformed from a raw material form to a form that is ready to sell to the customer. However, the goal of either finished product is a customer who is satisfied with the product or service she paid for. In a manufacturing organization, optimization of the supply chain is accomplished primarily by improving speed of delivery and reducing cost. Companies work to reduce physical bottlenecks and inventory, and negotiate better pricing on raw materials. The main way to speed production is to find a faster way to move or manipulate the components. A research paper published by Eastern Illinois University points out that the main drivers of optimization in a service model are relationships and information flow. By building partnerships with companies whose strengths complement its own, a corporation can reduce costs. By eliminating virtual bottlenecks caused by duplicate approval loops or other intangible delays, a service company can realize the same goal as the manufacturing company: a lower-cost finished product, delivered to the customer more quickly. The commonalities between manufacturing supply chain and service supply chain have been discussed. This is natural given that servicing and manufacturing share so much similar processes and the ultimate goals are both operational and/or financial success. A survey by Nile and Kellogg (1999) shows that many operations management educators who are manufacturing operations researchers are unwilling to accept the idea that service should be studied “in different ways, using different theories, skills, competencies, and language…” One reason for the denial to have service studies as a new field is that manufacturing and servicing businesses really have a lot in common. The set of commonalities are very likely much larger than the set of differences. Hence, we will not and can not exhaust the commonalities in this section. We high light some of the studies that identified commonalities between manufacturing and service settings. Since commonalities often suggest transferability of techniques and managerial in sights developed under manufacturing, we believe the commonalities are worth discussing. Some manufacturing supply chain insights have been documented to fit the service supply chains. For instance, Harkens et al. (2006) documented a case where a service firm, Carglass, needed to procure physical goods. The authors showed that many aspects and evaluation processes are very similar to the procurement decisions under manufacturing settings. As a result, the idea of total cost of ownership (TCO) that is traditionally used in Roodhooft, 1999) can be applied here as well. The case served as documented evidence to show there are many decisions that exist both in service industries and manufacturing industries. Such commonalities imply that manufacturing techniques can be easily transferred to service settings,. Another research that can attest to this point is the study by Stewart and Chase (1999). They applied the Generic Error Modeling System (GEMS) that has been used in manufacturing settings (Mac McCarthy and Wilson, 2001) to study service failures. They showed that GEMS can be applied to identifying failures in the service delivery process, where the steps of the delivery process are tangible. On strategic and operational level management commonalities still exist between manufacturing and service supply chains.Demirkan and Cheng (2006) showed that the idea of letting the entity that is the closest to the demand coordinate the supply chain also generates more profits for all partners in a service supply chain. Anderson and Morrice (2000) revised the classic beer game in manufacturing supply chain and fitted the game into a service supply chain. More specifically, a mortgage supply chain was simulated where the whole mortgage generation process was coordinated by four steps, initialing, credit checking, surveying and titling. A class of MBA students played the game and the authors concluded that sharing of end-user demand information throughout the supply chain contributed to the reduction of bullwhip effect Information sharing here is a classic effects of strategic practices on the performance of supply chains. Their correlation analysis correlates with the financial performance in both service and manufacturing supply chain. Each stage need not be presented in a supply chain. The appropriate design of the supply chain will depend on both the customer’s needs and the roles of the stages involved. In some cases, such as Dell, a manufacturer may fill customer orders directly. Dell builds-to-order; that is, a customer order initiates manufacturing at Dell. Dell does not have a retailer, wholesaler, or distributor in its supply chain. In other cases, such as the mail order company L.L. Bean, manufacturers do not respond to customer orders directly. In this case, L.L. Bean maintains an inventory or product from which they fill customer orders. Compared to the Dell supply chain, the L.L. Bean supply chain contains an extra stage (the retailer, L.L. Bean itself) between the customer and the manufacturer. In the case of other retail stores, the supply chain may also contain a wholesaler or distributor between the store and the manufacturer. An example of how U.S. retail industry companies are involved with supply chain management was demonstrated by Wal-Mart when it announced its plans for developing a sustainability system for the products sold in its stores, and environmental accountability from all parties involved in its supply chain. An example of what happens when the supply chain is neglected or mismanaged was the global toy recall by Mattel in 2007. After it was discovered that some toys manufactured in China contained toxic lead paint and a design flaw which caused a safety hazard, Mattel had to recall 20 million toys that had been distributed and sold around the world. Retail companies become involved in supply chain management in order to control product quality, inventory levels, timing, and expenses. In a global economy, supply chain management often includes dealings with companies and individual contributors in other countries, which requires involvement in politics, trade and tariff laws, quality control, and international relationships. Organizations increasingly find that they must rely on effective supply chains, or networks, to compete in the global market and networked economy. In Peter Ducker’s (1998) new management paradigms, this concept of business relationships extends beyond traditional enterprise boundaries and seeks to organize entire business processes throughout a value chain of multiple companies. During the past decades, globalization, outsourcing and information technology have enabled many organizations, such as Dell and Hewlett Packard, to successfully operate solid collaborative supply networks in which each specialized business partner focuses on only a few key strategic activities (Scott, 1993). This inter-organizational supply network can be acknowledged as a new form of organization. However, with the complicated interactions among the players, the network structure fits neither “market” nor “hierarchy” categories (Powell, 1990). It is not clear what kind of performance impacts different supply network structures could have on firms, and little is known about the coordination conditions and trade-offs that may exist among the players. From a systems perspective, a complex network structure can be decomposed into individual component firms (Zhang and Dilts, 2004). Traditionally, companies in a supply network concentrate on the inputs and outputs of the processes, with little concern for the internal management working of other individual players. Therefore, the choice of an internal management control structure is known to impact local firm performance (Mint berg, 1979). In the 21st century, changes in the business environment have contributed to the development of supply chain networks. First, as an outcome of globalization and the proliferation of multinational companies, joint ventures, strategic alliances and business partnerships, significant success factors were identified, complementing the earlier “Just-In-Time“, “Lean Manufacturing” and “Agile Manufacturing” practices. Second, technological changes, particularly the dramatic fall in information communication costs, which are a significant component of transaction costs, have led to changes in coordination among the members of the supply chain network (Coase, 1998).Many researchers have recognized these kinds of supply network structures as a new organization form, using terms such as “Keiretsu“, “Extended Enterprise”, “Virtual Corporation”, “Global Production Network”, and “Next Generation Manufacturing System”. In general, such a structure can be defined as “a group of semi-independent organizations, each with their capabilities, which collaborate in ever-changing constellations to serve one or more markets in order to achieve some business goal specific to that collaboration” (Ackerman’s, 2001). Given the increasing importance of the service sector service spending will only increase. The spending will not only include transactions within the service industry, but also the manufacturing services being traded in the market. Hence, more research attention will be needed in order to improve supply chain management effectiveness and operational efficiencies. There are many commonalities of service and manufacturing supply chains. The tangible aspects of service supply chains can be considered as a service extension of the traditional manufacturing supply chain, and thus can be managed in Similar manners. So the over all conclusions is that there is need a lot of effort to increase effectiveness of both service and supply chain management. And if we talk about which is better among supply and service chain management than is necessary to understand that these both are very important for any business. Because no business can be run effectively without these even some business required both of these i.e information technology industry like Dell and Hewlett Packard.